Overuse of Antipsychotics is Nursing Home Abuse - South Carolina Nursing Home Abuse Lawyer | Strom Law Firm, L.L.C. Although federal law prohibits “chemical restraint” – using medications to strongly sedate patients with mental disorders or dementia who may engage in disruptive behaviors – recent reports show that several skilled nursing facilities in the United States overuse dangerous antipsychotic medications on their elderly residents, which is a form of nursing home abuse. Three of the most commonly used antipsychotic medications – Risperdal (risperidone), Seroquel (quetiapine), and Zyprexa (olanzapine) – can seriously harm elderly patients and lead to death. None of these drugs have been approved for use in behavioral control of patients with Alzheimer’s or other forms of dementia, but nursing homes have used these drugs for years to stop disruptive behavior related to the diseases. The risk of death in elderly patients taking these drugs doubles: the risk of developing low blood pressure doubles, the risk of developing acute urinary retention doubles, and a recent study found a link between long-term use of antipsychotics and kidney failure. Elderly patients are also at greater risk for developing pneumonia or having a heart attack when they are on antipsychotics. This form of chemical restraint is a troubling form of nursing home abuse and neglect. Despite their dangerous side effects, almost 300,000 nursing home residents across the US receive antipsychotic treatment for behavioral problems that the drugs are not authorized to treat. FDA drug reviewer David Graham testified before Congress in 2012 that 15,000 nursing home residents die from complications of atypical use of antipsychotics. 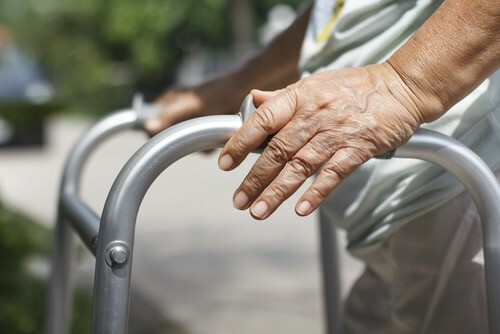 Despite the growing problem for long-term aging residents, nursing home abuse in the form of antipsychotic chemical restraint has only led to a fine against the nursing home, or a citation by the state, in 2% of cases. “We have yet to see any legitimate proof that the CMS is actively administrating action against states,” said Center for Medicare Advocacy attorney Toby Edelman said. Some states, however, have enacted programs to prevent chemical nursing home abuse. Maine has reportedly slashed their reliance on antipsychotics in nursing homes 33% between 2011 and 2014, which is double the national goal of 15% across all nursing homes. If you or a loved one have experienced South Carolina nursing home abuse, including illegally practicing chemical restraint, you do not have to suffer in silence or wonder if the facility is doing the right thing. It is important to take a stand against nursing home abuse, and the attorneys at the Strom Law Firm can help. We offer free, confidential consultations so you can discuss your concerns about your loved one’s care with impunity. Contact us today. 803.252.4800.